Berlin — The European Capital of Cool! 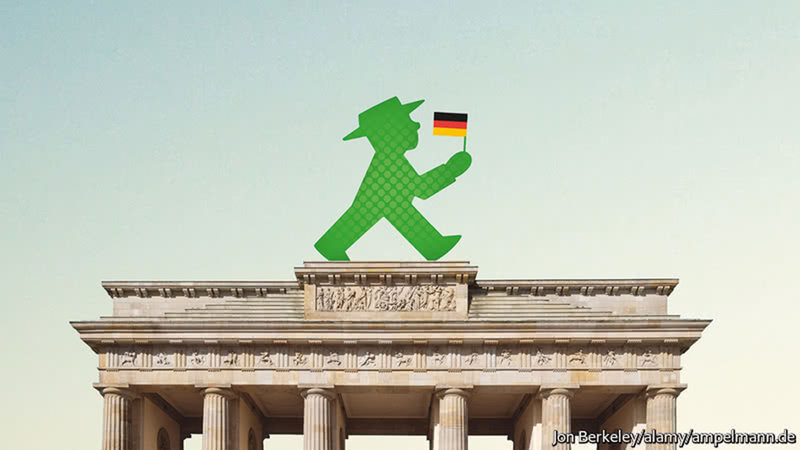 Berlin has been rarely mentioned as a winning candidate from Britain’s EU exit or Brexit, mostly the contest focuses on the financial industry, but there’s more. Below is a series of articles recently published. Two are from two British media groups, The Economist and The Times and a third one from Germany’s Handelsblatt challenging The Economist’s Title Story, “Cool Germany” in its April 14th issue. The Times link is a magazine illustrating many of the reasons that Berlin, not Frankfurt, Amsterdam or Paris, could be the winning Brexit candidate. I have often referred to my presence in Berlin with a “Greetings from the European Capital of Cool!”, which generates smiles, but ones with expressions of disbelief. How can Berlin be cooler than London or Paris or Barcelona? It is not until they experience it, that they convert. Why should Berlin even be considered a winner from Brexit? There is no post-WWII industrial base, Berlin is a city of new beginnings with a futurist perspective. There is room for experiment and innovation and therefore, a willingness to embrace risk–this is not typically a German characteristic. From the Handelsblatt opinion piece below states, “In times of geopolitical upheaval, Germans don’t want to seem cool. They want a new brand of thoughtful politics to offer them a secure life.” Some Berliners would like security, but most are used to living in uncertain, yet dynamic situations before the Wall fell and since. Frankfurt is vying to become the European financial center, could happen, but that might not make it a Brexit winner as banks are going through a massive disruption and are challenged to grow (Deutsche Bank) and one of those disruptions is FinTech, and the German FinTech StartUps are located mostly in Berlin. Frankfurt is home to the ECB, but it was there before the Brexit referendum. Not to forget, Berlin was the financial capital in Germany before the war. Berlin is gaining ground on London as a magnet for StartUps. Berlin is not only cool, but affordable and hugely attractive for young people from all over (apparently ~30,000 Israeli ex-pats alone), making English the common language. What’s missing? Risk-taking capital with most of the venture funding coming from abroad. Berlin has enjoyed attracting software coders for gaming and eCommerce, a great spirit for sharing and the enterprises servicing that spirit (food delivery, e-mobility, music streaming, etc.). What it lacks is the sense of scalability, thinking big and therefore the funding remains elusive compared to the numbers you see in Silicon Valley and other venture cities including London. Venture funding and private equity are also displacing banks as growing sources of capital and equity financing, what’s to stop them from coming to Berlin? Berlin has 12 public universities and many private colleges and science institutes. Berlin offers academics and research scientists a quality of life of a college town in a major city hub. Berlin and the German long term strategic thinking mentality allows for growth prospects in esp. medicine, bio-tech and chemistry. Engineering strengths are elsewhere in Germany. Media and the arts prevail in Berlin. Media will play a critical role in Germany’s pending digitalization. Berlin will be the place to experiment as in Smart City (Please also see IAV’s Berlin – A Global City? from April 17, 2017). Most importantly, Berlin is affordable which allows for risk taking, experimenting and discovering. It might lack a certain glamour or some would say, it offers a different glamour –that of curiosity and an all night party spirit. Some will say Berlin’s leftist ruling coalition (Red Red Green) lessens the attraction as social issues take precedence over economic growth and esp. over rising property prices and rents. Gentrification can cause less affordability they fear. Market forces will keep it in balance. Germany and Europe rarely show up on the Tech Radar and therefore disregarded by many investors, but this may exactly be where the opportunities lie, and you can only find out by visiting and seeing for yourself! Brexit is complicating and feels like for many an accident that could have been avoided. With or without Brexit, banks and the financial industry are being disrupted and are forced to examine their business models, which inevitably will change. This not only affects London, but also Frankfurt, Paris, Milano, Amsterdam and Madrid, but not Berlin. Could be the makings of a winner! What do you think?